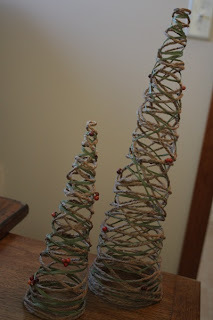 I saw these Christmas trees at Dollar Tree and liked them, so I bought some. Twine trees. Tutorial found HERE. Paper trees. Tutorial found HERE. 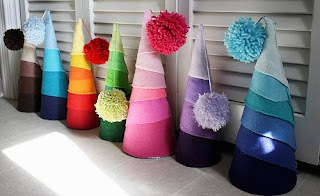 Felt trees. Tutorial found HERE.